In AN’s new series of climate profiles, we will be learning from designers who are working to incorporate climate responsiveness in their work or have blazed the way for others in the field. As this year’s hurricane season reaches its third quarter, coastal and riverfront cities across the country are thinking more than ever about how to adapt urban landscapes to increasingly intense storm surge and sea level rise. 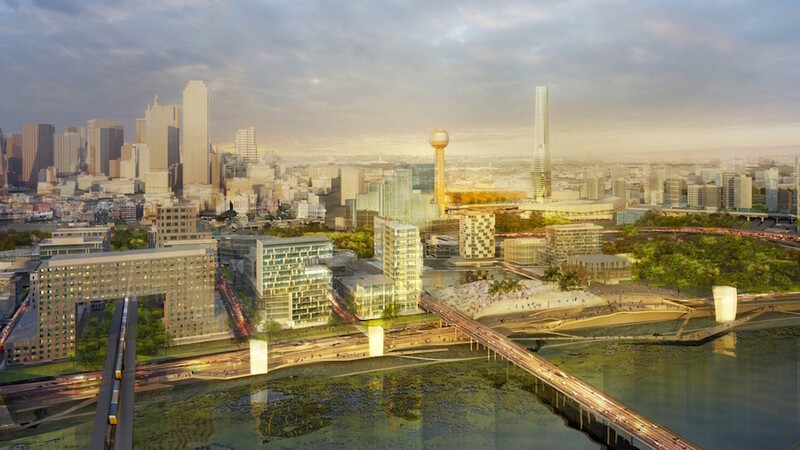 Chris Reed, founding principal of Stoss and professor of landscape architecture at the Harvard Graduate School of Design (GSD), is particularly good at asking questions about these issues. 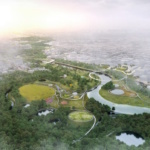 While completing his undergraduate degree in urban history at Harvard College in the 1990s, Reed was exposed to a split in schools of thought among landscape architects: one approaching landscape at the scale of urban planning, another at the more traditional gardens and parks scale. James Corner, who at the time was beginning his own landscape practice, was someone Reed felt successfully merged the two. 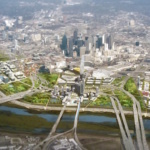 In Dallas, Stoss’ Trinity Waterfront project innovatively addressed a vacant flood zone of land dividing the downtown area from Trinity River, which winds through the city. The city wanted to transform this zone into a new public space and economic boon to draw developers. 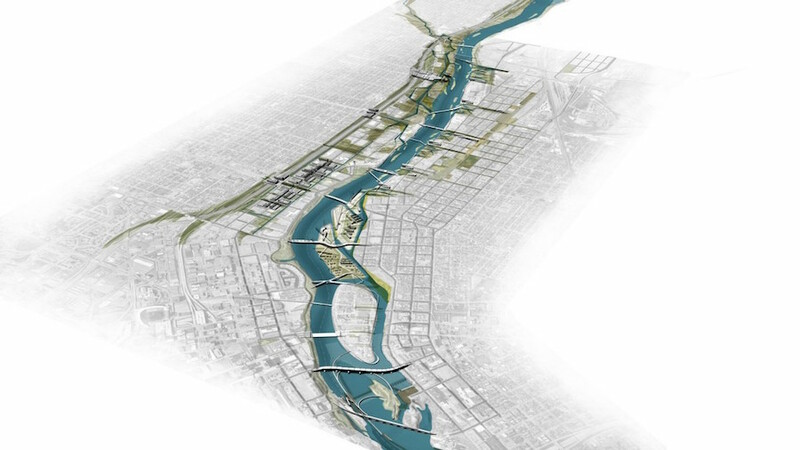 While the city’s RFP asked designers to connect the downtown area to the waterfront, Stoss expanded the landscape in two directions – extending fingers of the river and wetlands into the city, and likewise extending the city out into the flood zone. This is especially illustrative of Stoss’ approach to adaptive water management. Even an open-air theater has the capacity to flood, diverting waters from the paved and developed areas beyond. The sports fields are flanked by bioswales, depressed areas that are designed to capture runoff. 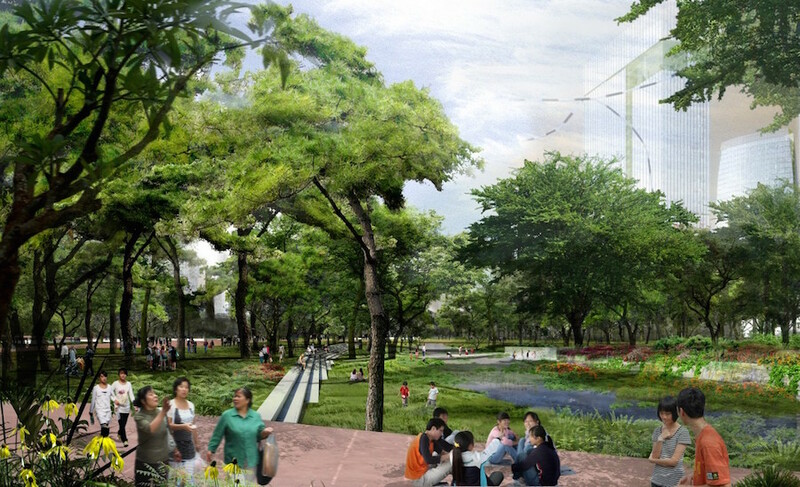 The resulting parklands are both densely urban and perform ecological functions. “The debate now has become not just how to incorporate environmental resilience into cities but also social resilience,” Reed told AN. “The world is not the same as when I was in school. 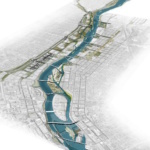 Now we have to ask questions like: what are the responsibilities of designers to address climate change, population growth, political shifts–and how have all of these things affected design?” Most recently, Stoss has worked on providing solutions to some of the climate-focused questions through a large-scale riverfront project in Boston. 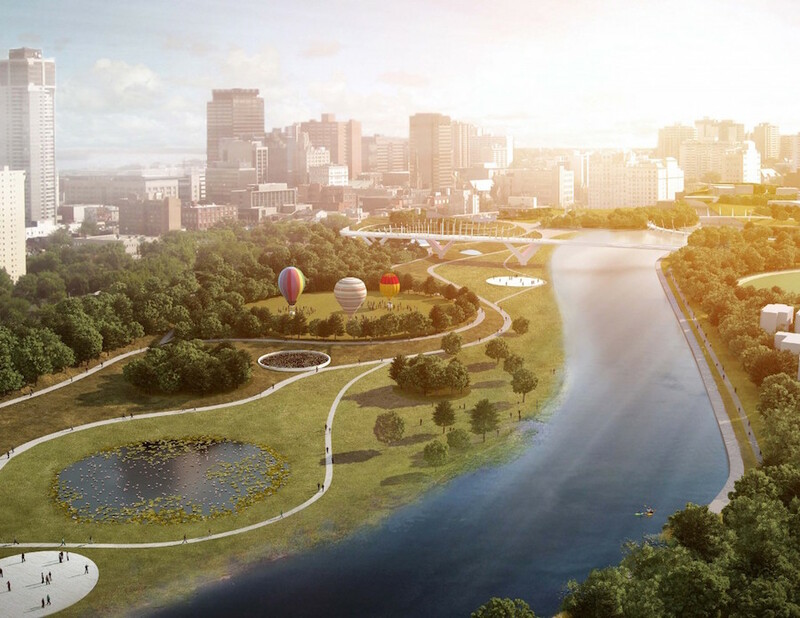 In January 2017, the City of Boston released a public RFP seeking design teams to realize elements of their Imagine Boston 2030 plan. 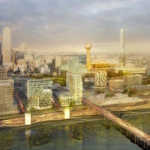 A major part of the plan is riverfront development, both in terms of creating more effective storm-resistant infrastructure as well as in creating compelling public spaces. Stoss was an obvious firm to address the tasks at hand. 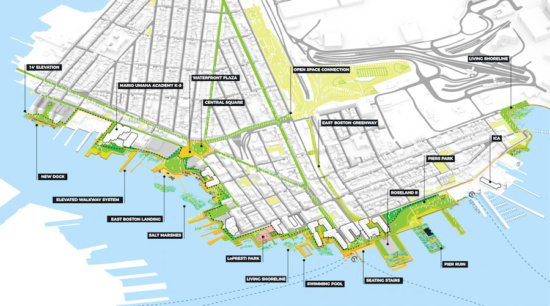 Of the six neighborhoods identified in Imagine Boston 2030 for waterfront renewal, Stoss was selected to work on two: East Boston and Charlestown. In East Boston, the site runs roughly from around Falcon Street to Piers Park. The Charlestown stretch is still under wraps, with the entire waterfront owned by a single private entity. The focus for both will be on coastal flooding and sea level rise. To tackle these issues, Stoss partnered with Kleinfelder, Woods Hole Oceanographic Institution, and the New York office of Dutch firm One Architecture. 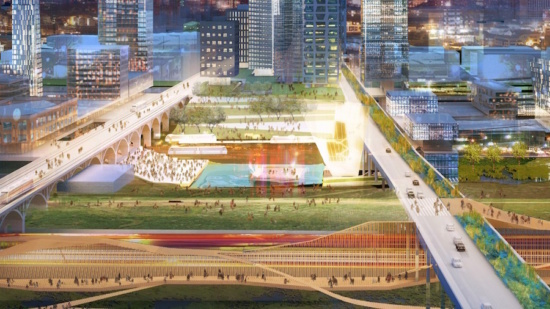 According to Stoss’ Studio Manager Amy Whitesides, the project will occur in a layered approach at three different scales. 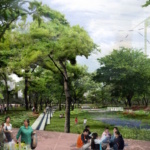 The first, most local scale, will look at simple engineering solutions to flooding, common sense gray infrastructure that will prevent stormwater from rising up or scouring its way into the city’s streetscape. An example of this would be a retrofit to the East Boston Greenway that would funnel water along the park’s existing railway rather than letting it run off into adjacent neighborhoods. 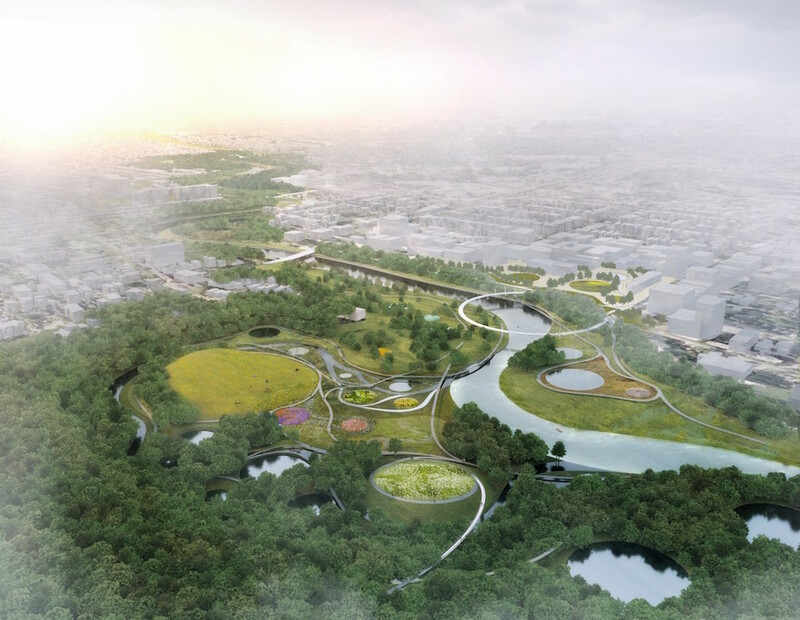 The second, intermediate scale will look at the landscape’s existing and potential ecologies—including the redesign of Piers Park itself. 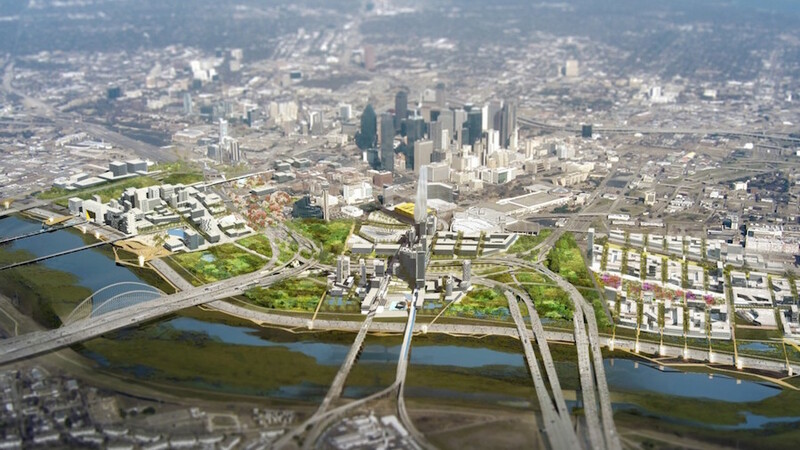 The current plan is to take the land and raise it into a berm-like park, creating a barrier that will protect the Greenway and the residential areas while doubling as public space. The third scale looks at the waterfront as a whole from a developer’s standpoint, asking which areas will require rezoning for designs to be effectively implemented, how to address private interest (as a good portion of the waterfront property included is privately owned), and perhaps most importantly: how will this all get paid for? In East Boston and Charlestown, these kind of conversations are well underway. 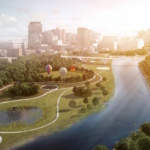 The design team has held over fifty meetings with stakeholders ranging from Boston’s Department of Parks and Recreation to private developers, held community workshops in all of the affected neighborhoods, and formed working partnerships with a number of local nonprofits to inform the design. According to Reed, it should be impossible to complete such large-scale designs with far-reaching impacts without forging local relationships. 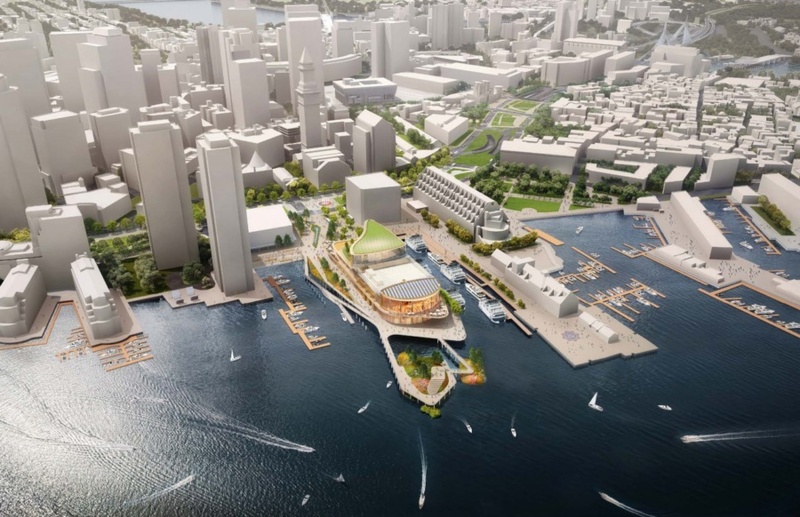 Stoss will formally announce their design for the Imagine Boston 2030 plan in the coming weeks.